Also, even though this is the first time I'm wearing it here, I've actually had it for a while and it's one of my favorite skirts year round! I love pairing it with tights and booties during the winter! Not bad for a $12 thrift store find, right?! LOVE this look! 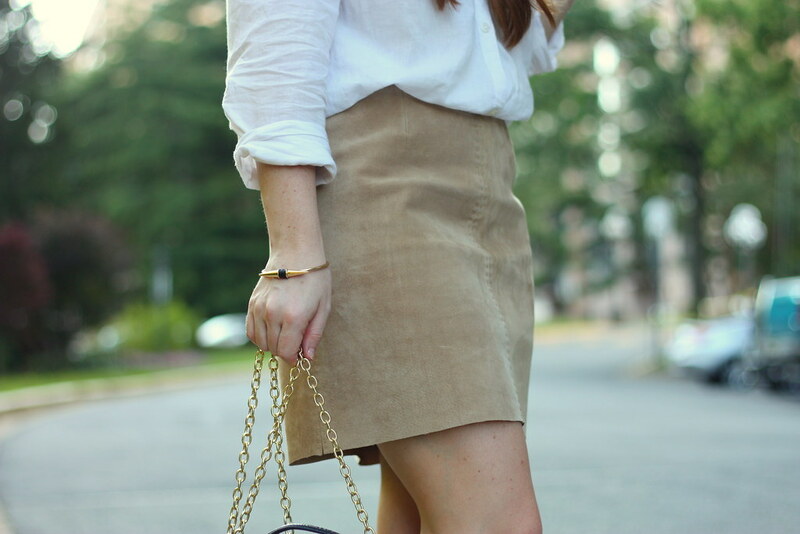 I have a very similar thrifted suede skirt in a darker cognac and never thought of wearing it in summer! You look fab! 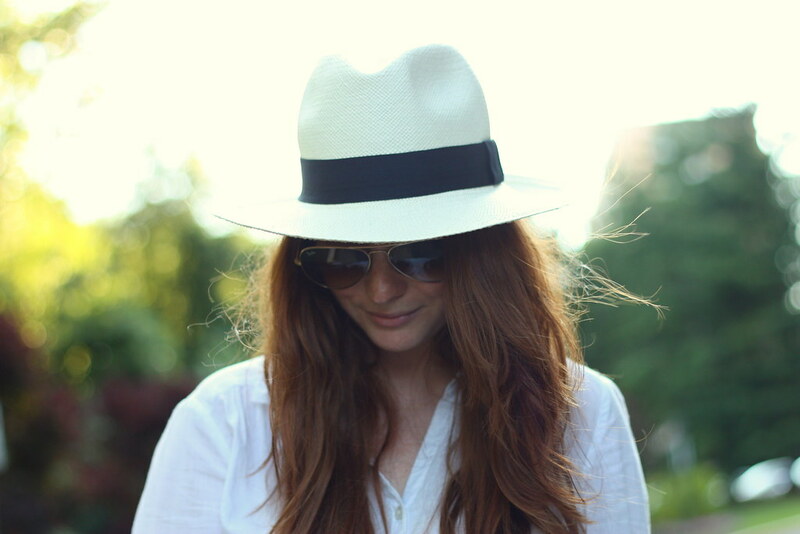 Love that hat on you!! Cute! Way to break the summer style rules :) Hope it's cooling down a little in DC! ah who cares it looks great! $12! Man what a steal! Love it as a mini! Just randomly came across your blog from a comment you left on another blog. Love your style girl! That skirt is an amazing thrift store find! And you look fabulous in the hat. I love that you cut it to this length! Hemming/ trimming/ re-making thrift store finds is one of my very favorite things! Looks fab!